According to a posting on the Facebook page of the Flint, Michigan metal band KING 810, the case against the group's vocalist David Gunn (formerly known as David Swan) in the 2013 critical beating of a man outside of a bar in his hometown was just dismissed by the judge. 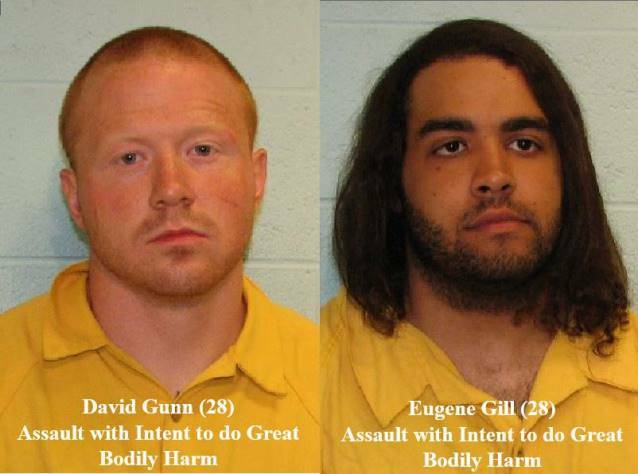 The case against KING 810 bassist Eugene Gill in connection with the same incident was bound over to circuit court. Bond was amended for travel. KING 810 is scheduled to traverse the U.S. this summer on the Rockstar Energy Drink Mayhem Festival beginning in early July. The band's debut album is tentatively due in August. Gunn and Gill, both of whom are 28 years old, were picked up at the Detroit Metro Airport on June 12 as they were making their way to the United Kingdom to perform at this year's Download festival. They were charged with assault with intent to do great bodily harm less than murder. Gill is suspected of attacking a man last October and leaving him in critical condition outside The Loft in downtown Flint. A police investigation led to warrants being issued for the two musicians. Assault with intent to do great bodily harm less than murder (also known as "assault GBH") is a felony criminal offense in Michigan, according to Michigan Compiled Law 750.84. Assault GBH carries a potential punishment of up to 10 years in prison, and a fine of not more than $5,000. 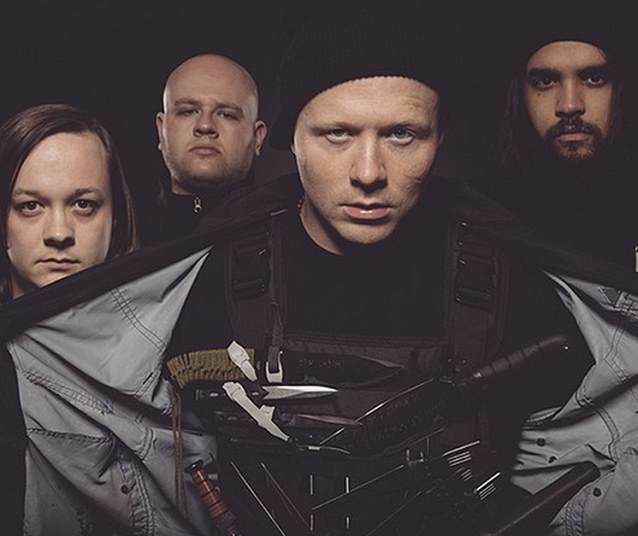 KING 810, which recently signed with Roadrunner Records, stirred up controversy at last month's Rock On The Range festival in Columbus, Ohio by bringing a number of masked men carrying (fake) assault rifles on stage (see video below). In a recent interview with Metal Hammer magazine, David stated about his hometown: "You will never understand where we're coming from unless you've been here. "Flint is not one of a kind — there are slums all over the world — but this kind of thing rarely gets expressed by a band that's so involved in a place like this. A lot of people just lie about it, but we're actually here. "I've seen two people killed this week. I've seen two bodies this week and I'm not the only one. "We're holding up a mirror. Your environment affects you, whether it's negative or positive. "This city is wild. There are no police here. It's poverty-stricken, there's unemployment, we have serial killers you won't hear about on TV. "I can't make anyone understand what I'm getting at. When I sing, 'While you were playing with friends, we were burying men…' do you get it?" KING 810's "Proem" EP was made available on iTunes on May 13.